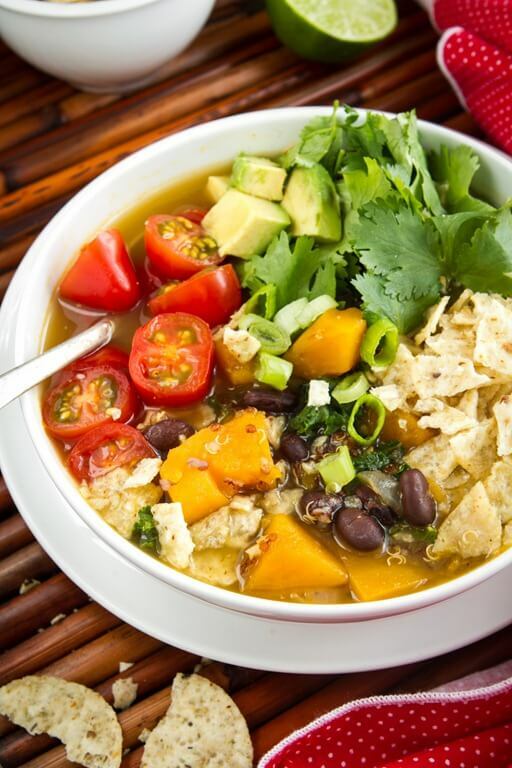 Here are 27 of the best warming vegan Soup Recipes for you to warm up.Wintertime is the time we like to eat comforting warming Soup. These Recipes are a delicious addition to your menu. 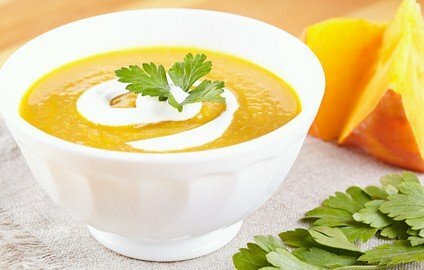 And with a Vitamix Blender or Food processor, it is possible to prepare these soups easy and fast whenever you crave for a soup. 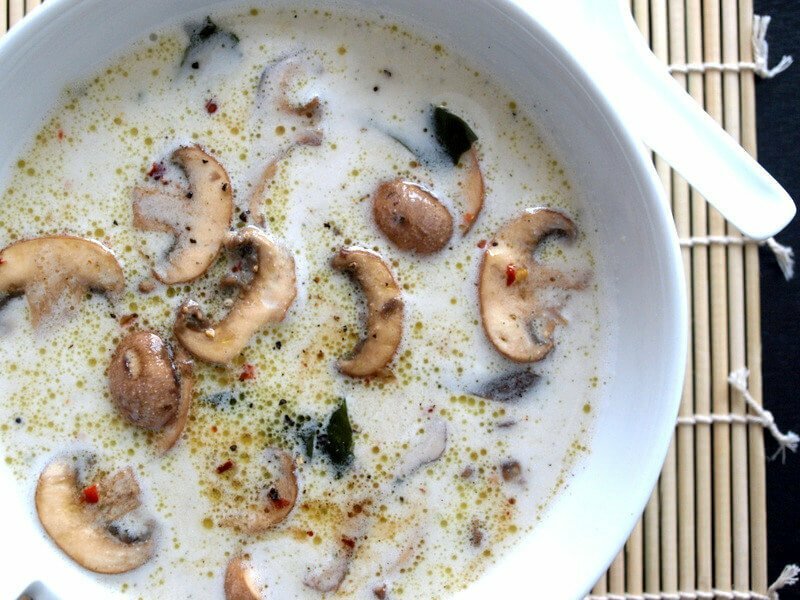 Even some raw soup recipes are here like a creamy miso soup with Mushrooms, Cauliflower cream and a beautiful creamy Avocado Coconut soup.All healthy nutritious and even can help control your body weight. 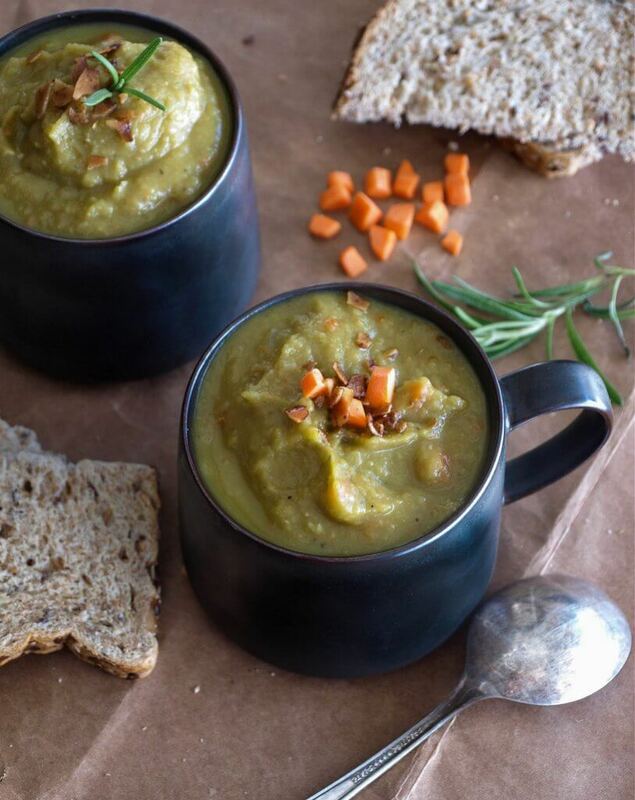 With soup season on the way, why not enjoy at least of few of the 27 most scrumptious, nutritious and utterly delicious soups that the vegan world has to offer? This soup is simply spiced, allowing the raw flavours of the vegetables to take centre stage – this silky blend is delicious, warming and perfect for those cold winter nights. The ‘cheesy’ taste comes entirely from vegan friendly and B-vitamin rich nutritional yeast. So rich and thick there’s simply no need for cream! This dense soup is a tummy warmer, and an immunity-booster: the garlic staves off colds, the ginger improves circulation, and the coconut milk adds a sweet touch. Of all our vegan soup recipes, perhaps this is the most unusual. Thick, rich and ridiculously satisfying, you could say this is the ‘David Beckham; of soups! 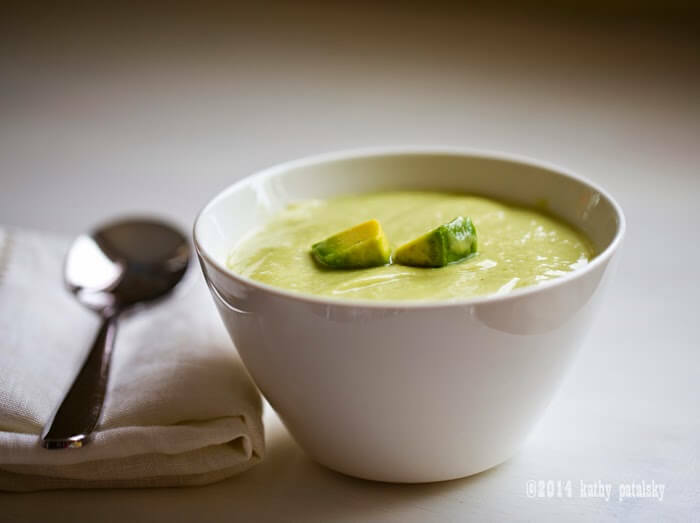 Avocado and coconut make a surprisingly perfect match with bloggers deeming this soup ‘hydrating and luscious’. 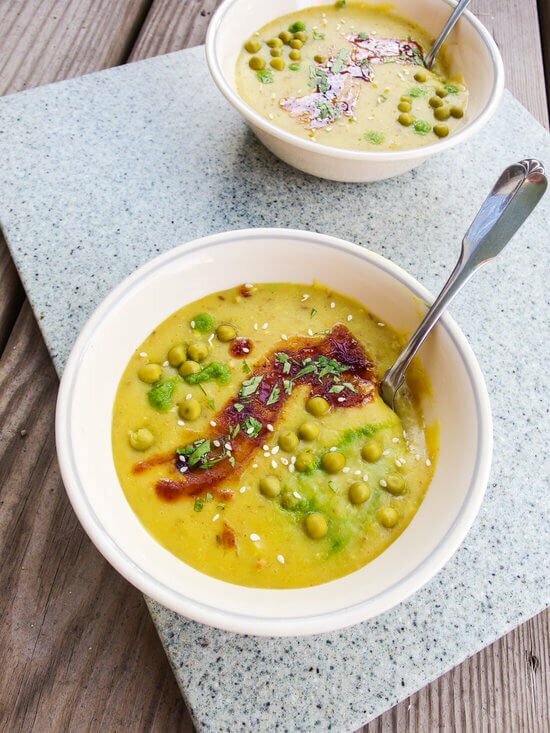 With all the workings of those sultry Indian flavours you can satisfy your takeaway cravings with this delicious and simple soup that’s packed with all the flavours and veggies you would find in one of those tasty Indian pastries. If you prefer a little heat to your meals then this recipe will be right up your street! More of a stew in consistency, this dish is both tasty and filling. With a total prep and cook time of just under 30 minutes, this delicious concoction of ingredients is perfect for those rushed winter nights. 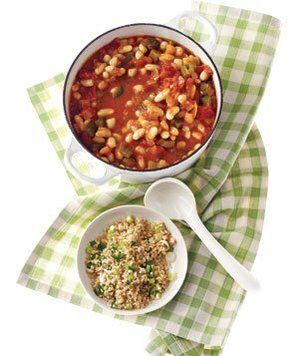 The combination of the soup and salsa adds just the right amount of heat and acidity complementing the opposing flavours. 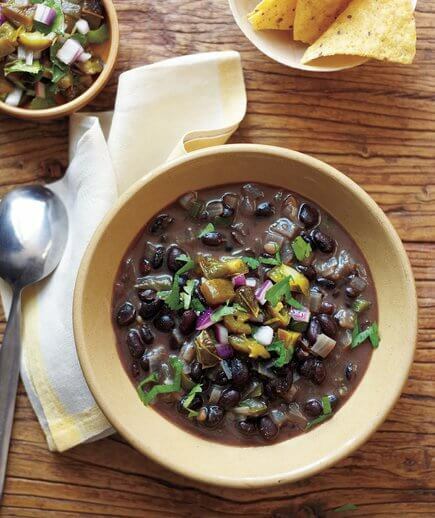 Black beans are a great source of fibre and protein, and will satisfy your hunger for a lengthier period. Split peas carry important nutrients and are a great, tasty way of adding protein and fibre into your diet. This hearty soup can be prepared either by throwing the ingredients into the slow cooker and waiting for the magic unfold, or making it equally easily on the stovetop. Protein-packed and tangily tasty, miso has a list of nutritional benefits that you can’t afford to be missing from your diet. 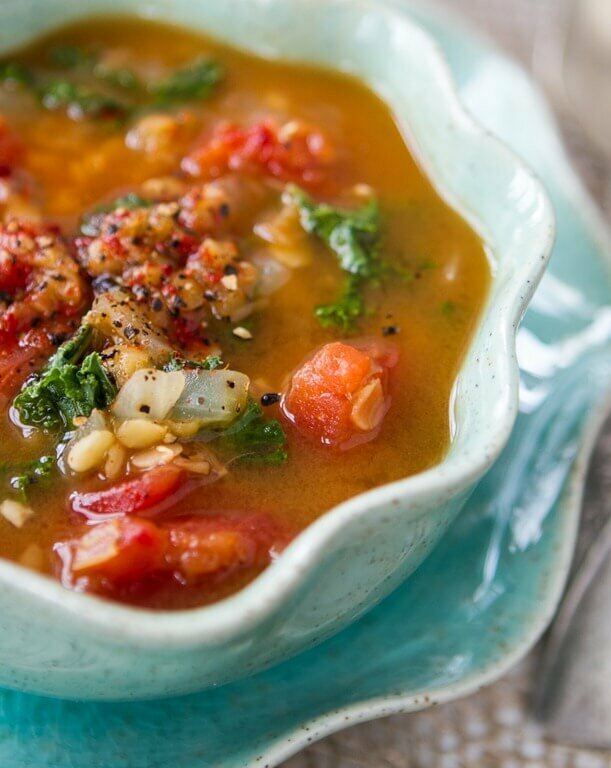 High in antioxidants and with the ability to strengthen your immune system thanks to the fermentation process, this delicious soup will satisfy your tastebuds while it works wonders on your interior. The perfect amount of spice and an abundance of textures make this soup a winter winner. All made in a single pot, lentils are added for that extra hit of protein and to keep you feeling fuller for longer. 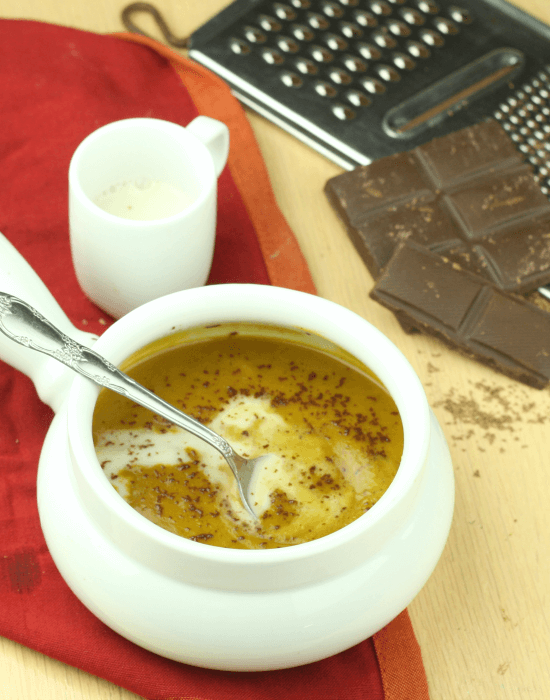 This soup is so rich, sweet and creamy, you’ll be amazed it didn’t come from that iconic can! It’s surprisingly healthy, too: coconut milk contains lauric acid, antimicrobial lipids and capric acid, which have antibacterial, antifungal and antiviral properties. The body converts lauric acid into monolaurin, which may fight the viruses and bacteria that cause herpes, and influenza. Get your chocolate fix in a very healthy (and slightly unusual) way! This soup is perfectly sweet but slightly spicy; rich, creamy and unbelievably low in calories: just 42 calories per generous serving. Butternut squash, pumpkin and roasted sweet potato with sultry cinnamon and nutmeg notes are just some of the flavours combined to create this spicy, cosy bowl. 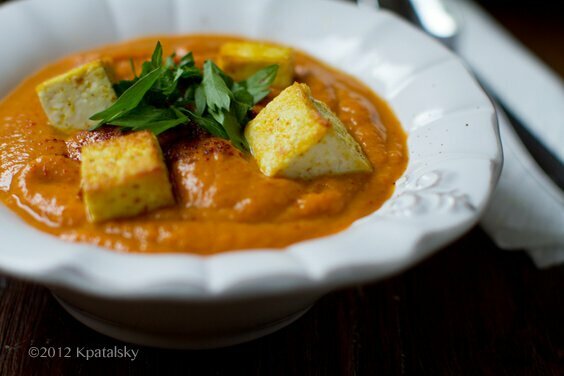 Topped with crouton-like tofu cubes, this recipe is guaranteed to fill you right up! It’s a whole meal in a bowl! Full of flavour and bursting with loads of vibrant vegetables, this recipe is easy to execute and gives you plenty of room to experiment – adding and removing different veg and flavours depending on your preference. This soup just made meal times that little bit more exciting.